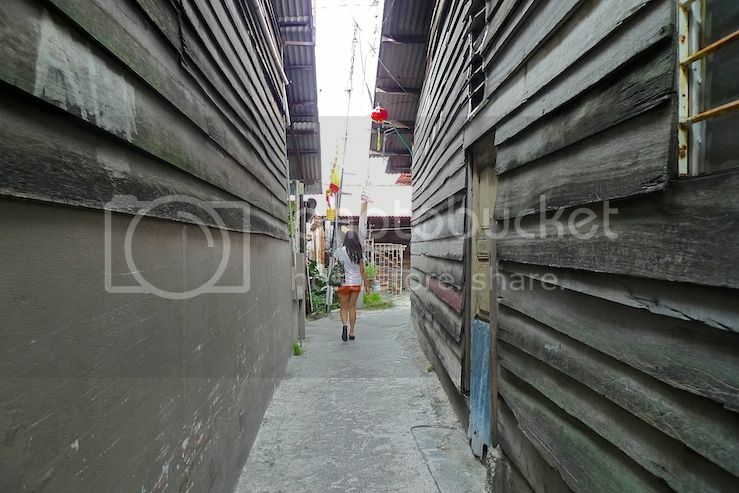 It's time to get back to blogging about my Penang trip last year. 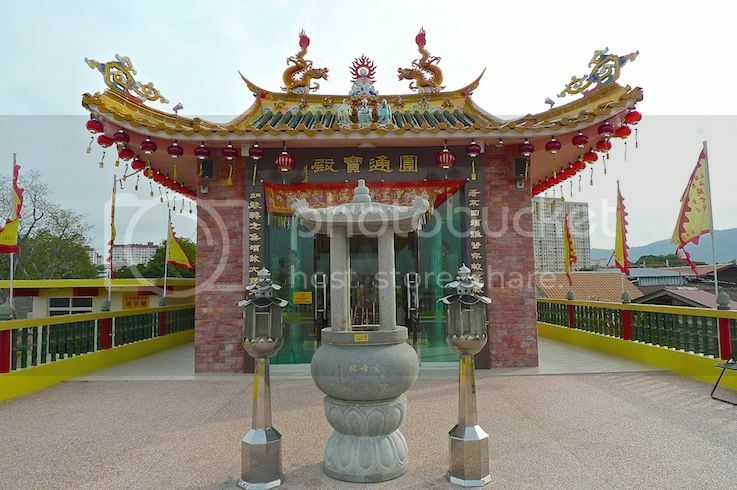 This post will be about my very first visit to the Floating Temple of Penang. 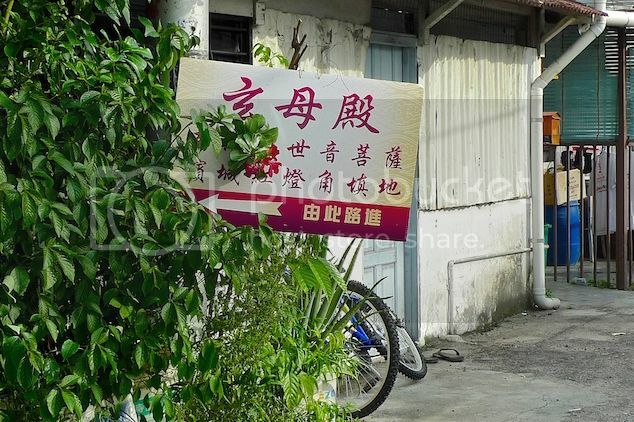 But first, if you have missed my previous posts about Penang, these links will help you get up to speed. 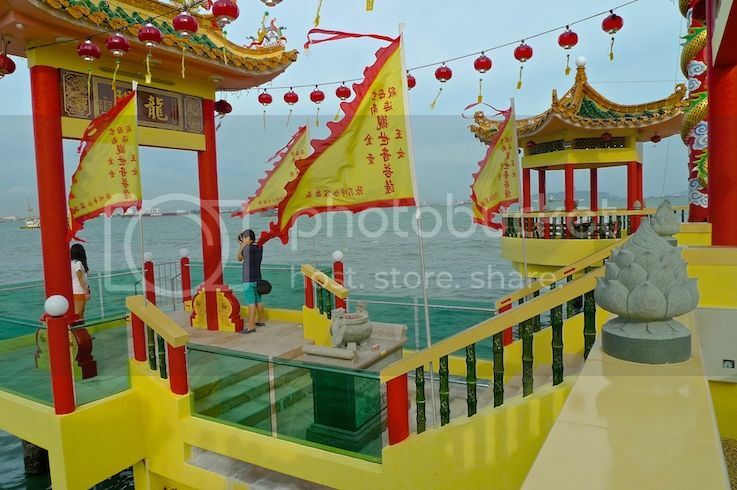 So after tasting the Penang Ais Tingkap, I visited the Floating Temple with the help of Penang food blogger Ken and lifestyle blogger Ann, both of whom acted as my tour guides. 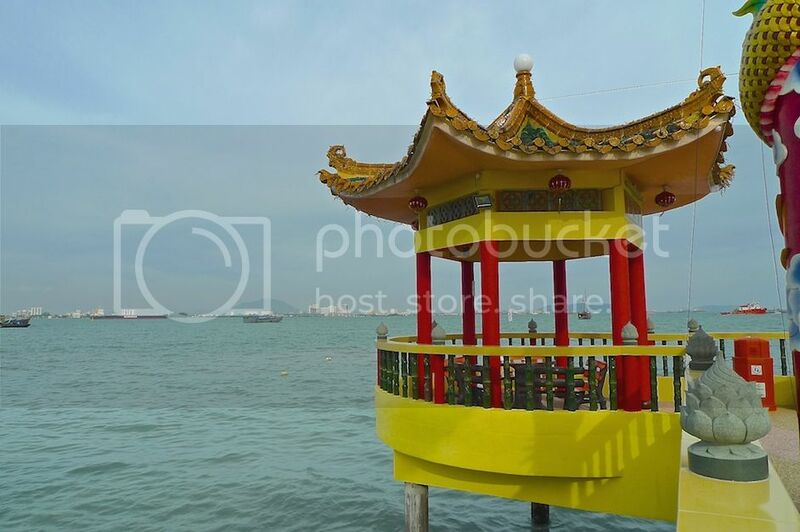 Also known as the Hean Boo Thean Temple, it is called the floating temple because it appears to be floating on the sea. 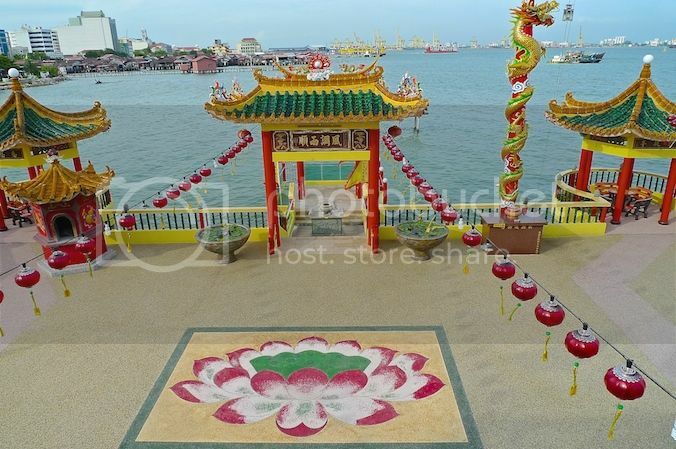 Located at Lebuhraya Merdeka off Weld Quay in George Town, the temple is actually perched at the water's edge within the reclamation area of Yeoh Jetty. To get there, you need to park your car at quite some distance and take a walk along narrow lanes. That's Ann in front of me with Ken further ahead. Soon, we reached the entrance to the temple with its beautiful arch. The temple consists of two stories. This is the main hall as seen from the front. Lots of red lanterns hanging from the ceiling. 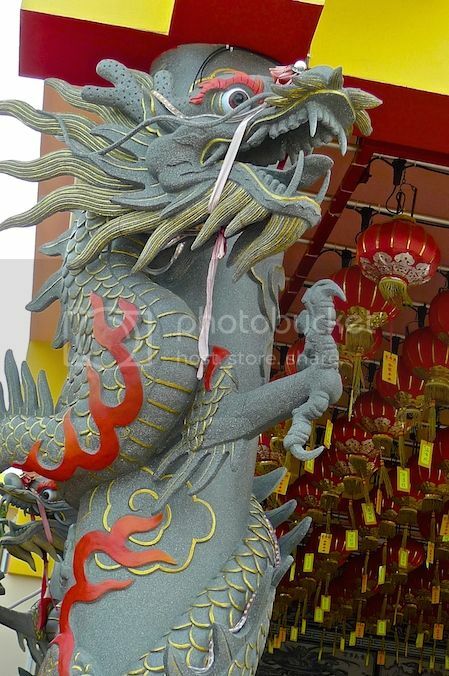 The pillars supporting the temple's front porch are decorated with hand-crafted dragons swirling around them. 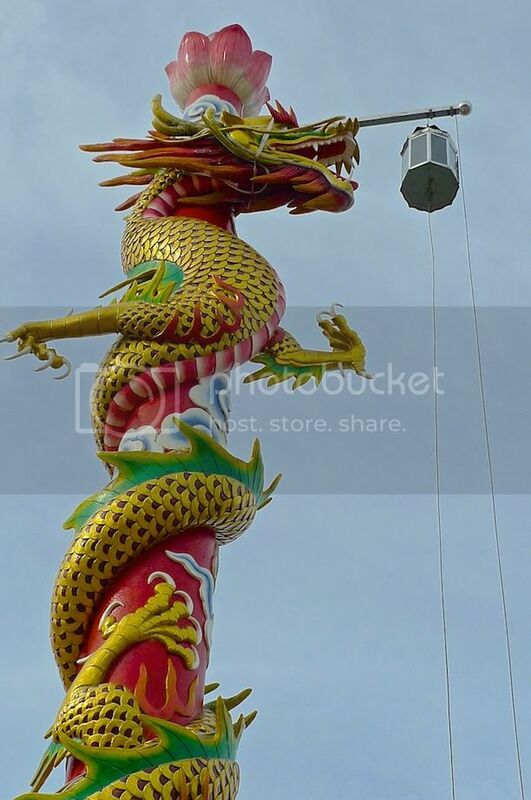 A closer look at one of the dragon pillars. 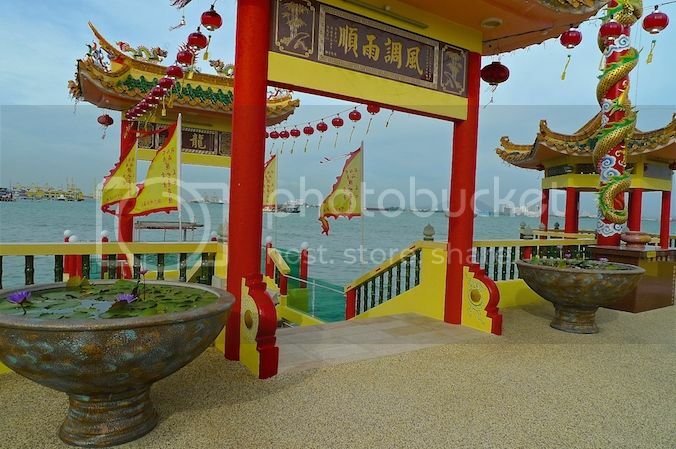 Originally, the Hean Boo Thean Temple was just a simple wooden shrine on stilts, perched over the sea. It was often inundated during high tides. 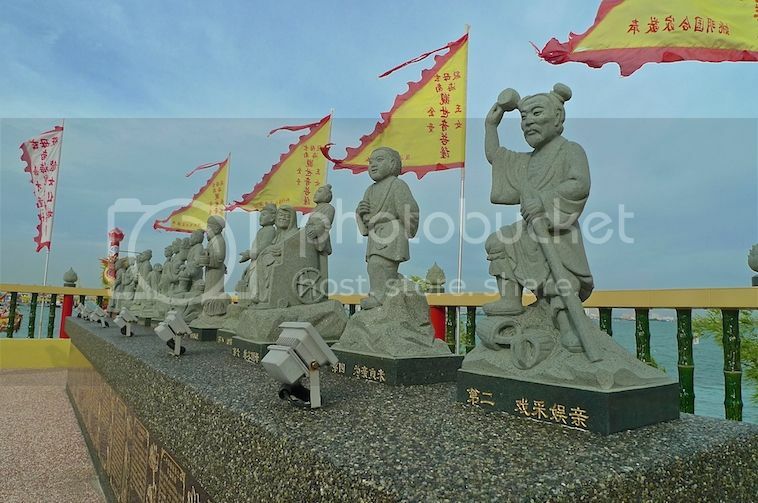 In 2012, it was reconstructed and expanded to become a 2-storey concrete temple. I have no idea how they build the temple. As you have seen earlier, the lane leading to the temple is pretty narrow and it's quite impossible to move large concrete objects across it. Perhaps they transported those materials with boats at sea? 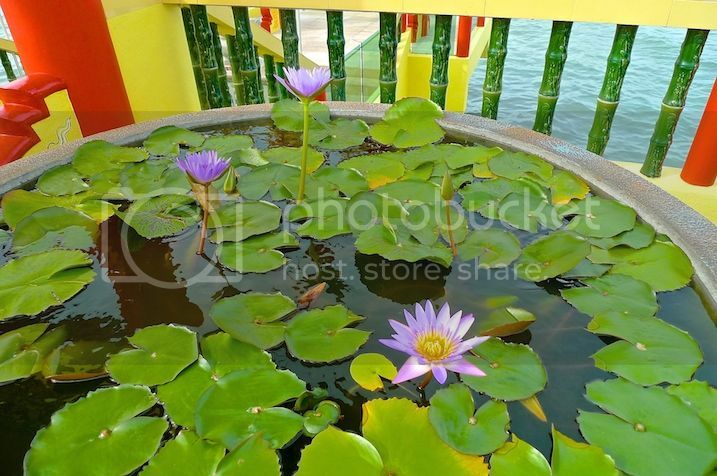 A lotus mural can be seen at the center of the temple compound. 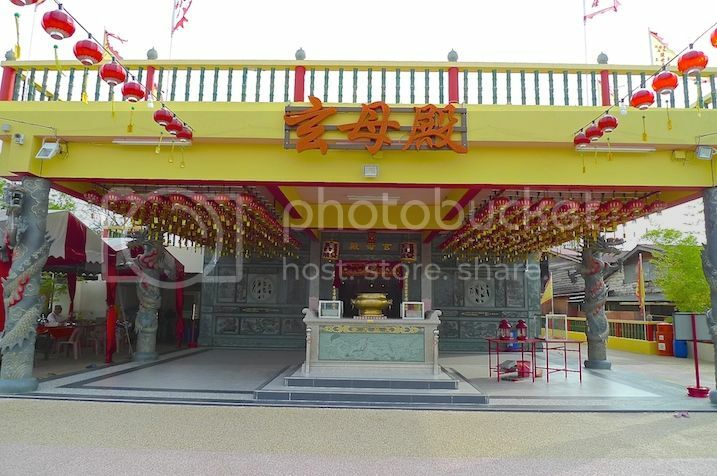 There are two pavilions - one on the right and the other on the left side of the temple compound. 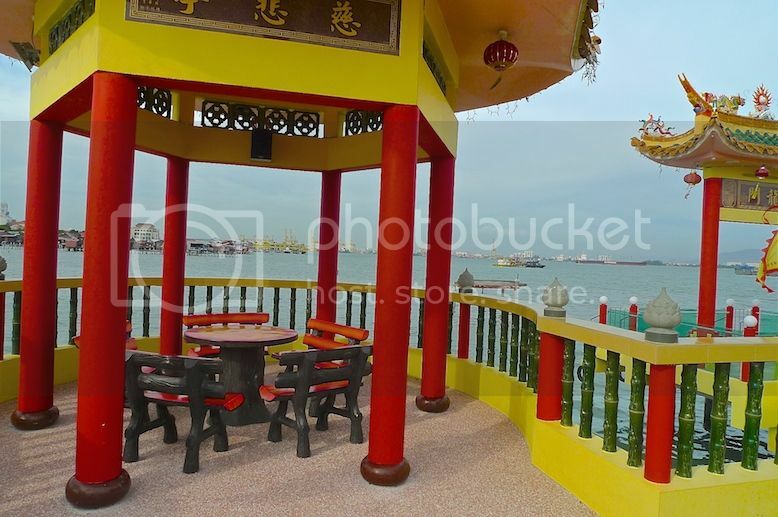 One of the Pavilions where you can sit down to enjoy the view of the sea. There is a staircase with two arches above it going down to a lower platform heading towards the sea. 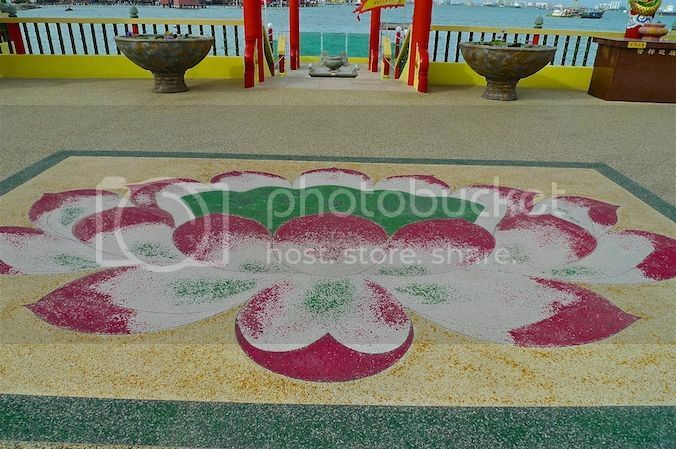 Perhaps that's where people can arrive at the temple by boat. Ken was taking a photo of Ann at the lower platform while I was taking a photo of them! LOL! By the way, during high tide, the sea would flood this lower platform. That would be interesting to see, but during my visit, the sea was at low tide. 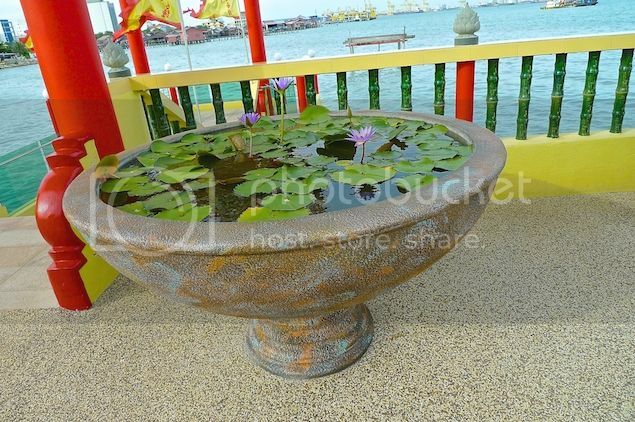 Flanking both sides of the staircase and the double arches are large lotus flower pots. 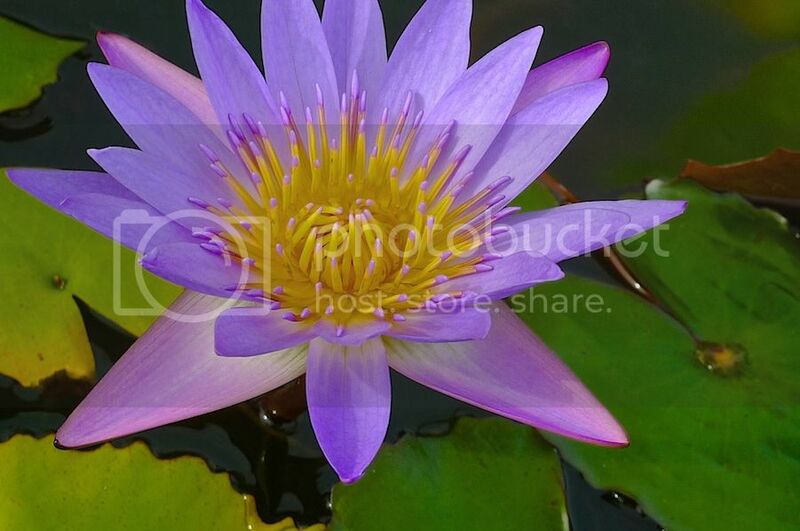 A close shot of a lotus flower. 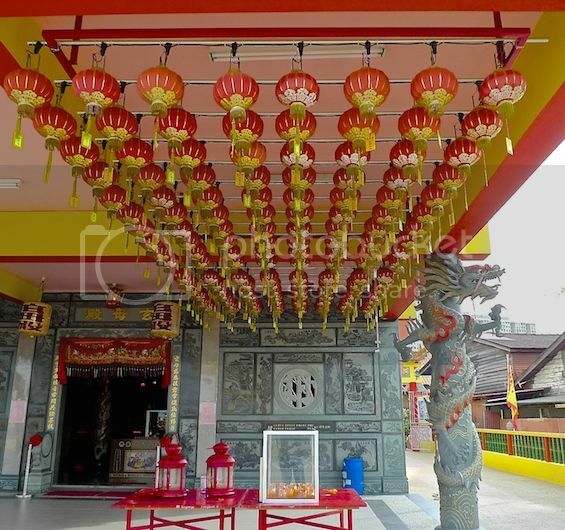 To the right of the staircase is a High Lantern Dragon Column. In the middle of the staircase at the lower platform, there is an altar though I am not sure what this altar is for. Closer shot of the altar. 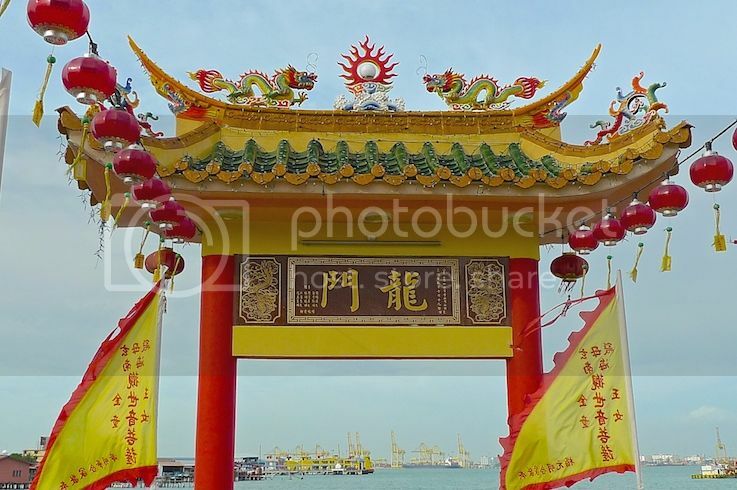 The second arch at the lower platform nearest to the sea is known as the Dragon Gate. 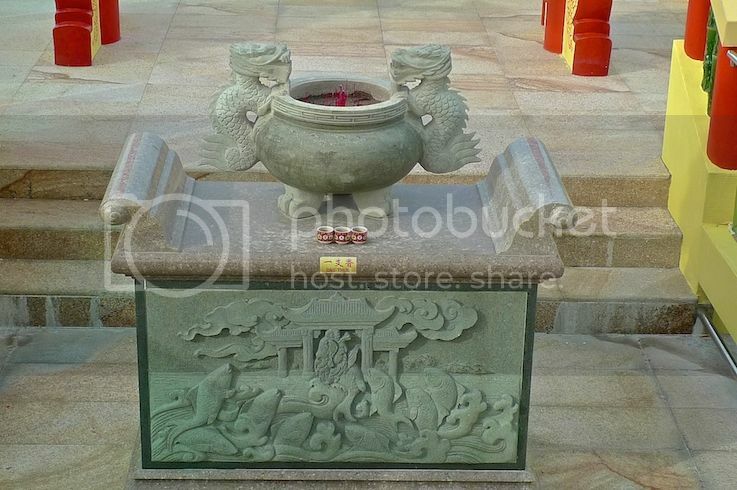 According to legend, if a koi fish were to jump over the Dragon Gate, it would turn into a Dragon. Perhaps this was why this Dragon Gate was constructed at this lower platform. 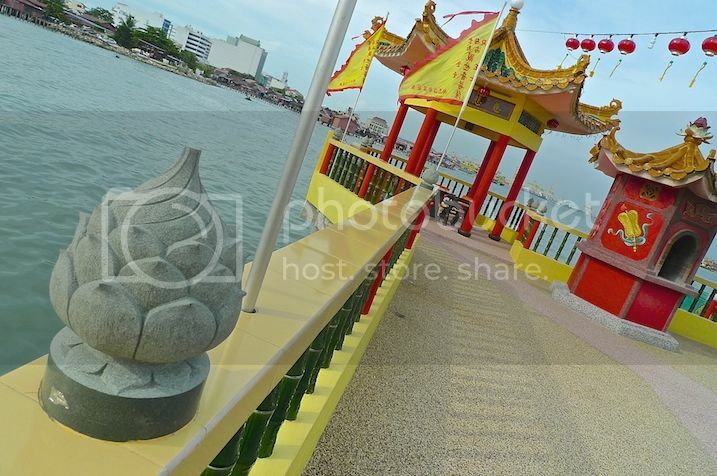 Since the platform would be flooded during high tide, there is perhaps a small chance that a koi fish from the sea would get to 'jump' over this gate. LOL! 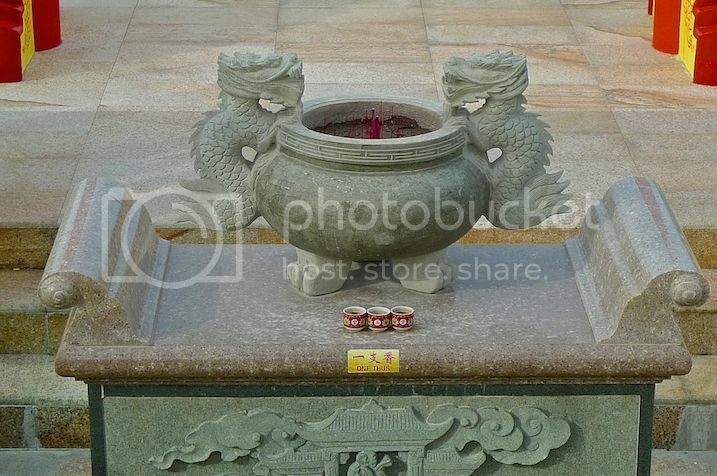 On the second floor of the temple is the main shrine of Guan Yin, the Goddess Of Mercy. 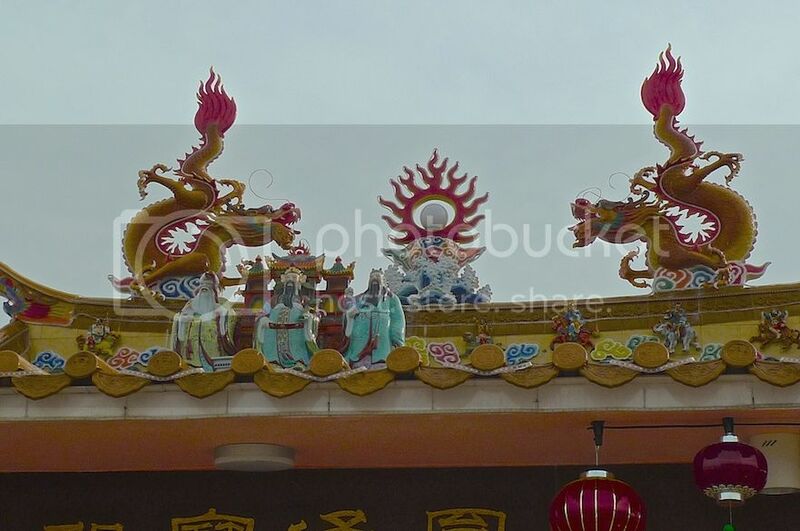 On the roof top of the main shrine are two prancing dragons and three Taoist deities Fuk Luk Sau. 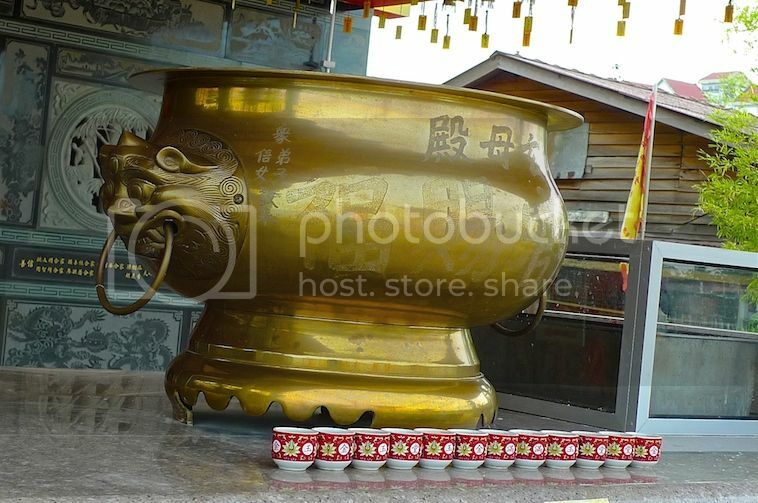 Fuk represents good fortune, Luk prosperity and Sau longevity. 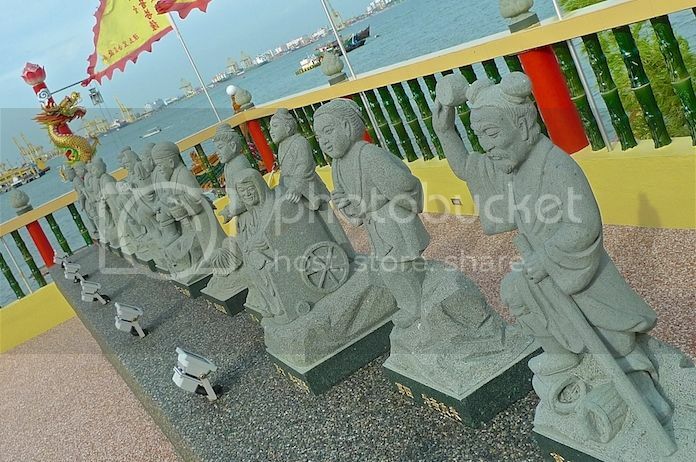 The front part of the main shrine is lined with 24 figurines (12 on each side) depicting 24 Tales Of Filial Piety. The view of the first floor or the lower deck from the the second floor. 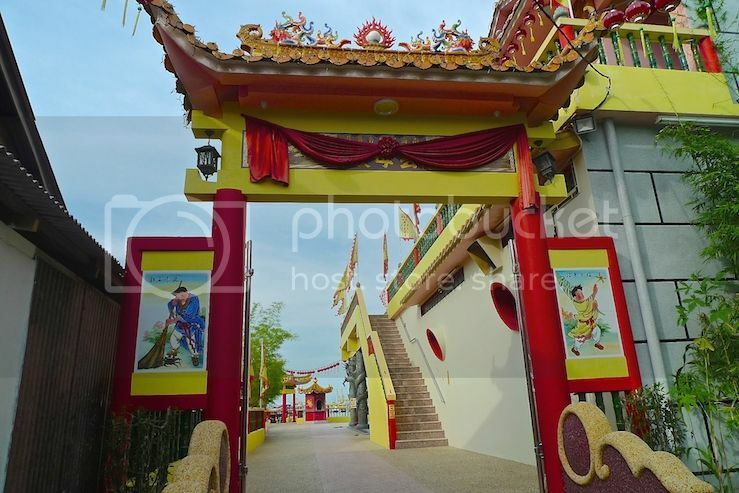 Can you see the lotus mural, the staircase with the two arches leading to the lower platform and flanking on both sides, the Pavilions and also the High Lantern Dragon Column on the right? 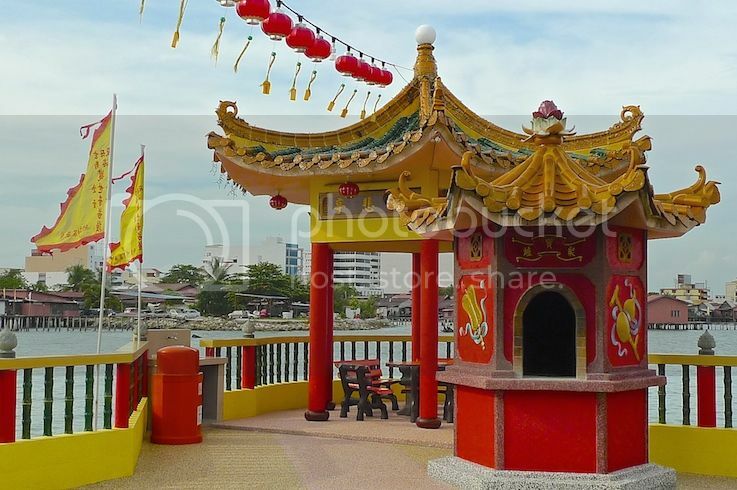 It would be interesting to see how this Floating Temple looks like when lighted up at night!